WHEN THE BATTLE SEEMS LOST, GOD RAISES UP AN ARMY! A long time ago, in a land far away, God raised up a leader for a cause. This leader’s name was Gideon. He was called to lead an army to take ground from the enemy and further the advancement of God’s people; this was their mission. GOD IS AGAIN RAISING UP AN ARMY OF ALLIES! Ten years ago, in the land we now inhabit, God raised up a leader for a cause. This leader’s name is Ron Cook. He was called to take ground from the enemy and further the advancement of God’s people (The Church) through the strategic work of caring for pastors. Ron, with his wife Rodetta, willingly submitted to this call; however they would not accomplish this task alone. A God-selected army was raised up. A group of Christian warriors great in faith, distinct in their walk with God, and committed in their stewardship to supporting the cause came under their leadership to establish the ministry of Care for Pastors. THERE IS A MISSION; A CAUSE WORTH FIGHTING FOR! Hundreds of pastors and their families are walking away or being forced out of ministry every month. With this tidal wave of loss, it’s no wonder The Church is struggling to maintain growth and is losing it’s influence and impact on the culture. Without healthy, well-supported pastoral leadership, The Church in America will continue it’s slide into irrelevance and ineffectiveness. WE ARE GATHERING ALLIES TO CARE FOR PASTORS! IS GOD DRAWING YOU TO JOIN GIDEON’S ARMY AND JOIN THIS GREAT WORK? 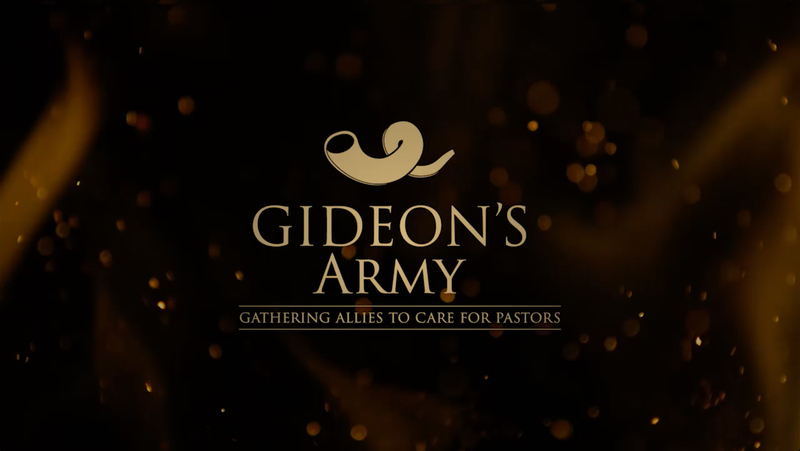 Gideon’s Army members support this ministry with a monthly contribution which gives ongoing relational support to pastors and their spouses to ensure their marriage stays strong and they remain healthy and effective in ministry for a lifetime! As a God-selected warrior in Gideon’s Army, you will be ensuring stability and longevity of a pastoral family, the development of a healthy church, and the transformation of communities with the Good News of Jesus Christ! Support pastoral families, strengthen The Church, and see the world won to Christ!